This attractive first floor apartment set between central Brighton and Kemptown has many great features, from the marble fire place that graces the living area to the modern kitchen equipped for rustling up anything your appetite fancies. Size: Sleeps up to 6, 2 bedrooms Nearest beach: Less than half a mile Nearest amenities: Less than half a mile Pets: No pets allowed Short breaks: Available at this property Smoking: No smoking at this property Rooms: Sitting/dining room, kitchen, 2 bedrooms, 1 bathroom Beds: 1 double bed, 2 single beds, 1 double sofa bed Luxuries: Surround sound DVD/CD player General: Gas central heating, TV Utilities: AEG gas hob/electric oven, microwave, dishwasher, fridge, washing machine/dryer Standard: Kettle, toaster, iron Other: Bedlinen and towels provided, WiFi/telephone available. Use of the sofa bed will be charged at £50 per person per week. 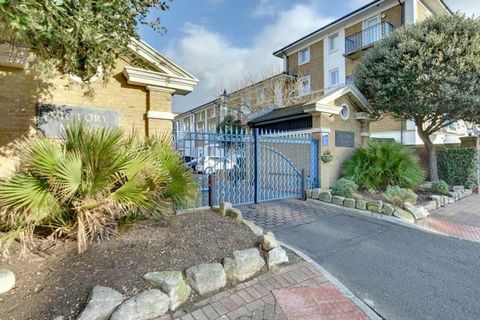 Not suitable for children under 10 years Outdoors: Shared patio garden Parking: On street Pay & Display parking available or the NCP on High Street Security Deposit: A security deposit of £200 may be required, in which case we will contact you for payment 8 weeks before your holiday is due to start. Situated within a stunning Regency building, spacious Marine Views delivers just that: vast sweeping vistas across the sea. This is a great base from which to soak in Brighton's seaside airs and dive into Victorian past times. Take a ride along the seafront on the first-ever electric railway from the Pier to the Marina or take a stroll along the promenade towards the modern day bustle of Brighton, or visit nearby Kemp Town with its eclectic flair of shops and restaurants. Size: Sleeps up to 6, 3 bedrooms Nearest Beach: Less than 1 mile Nearest amenities: Less than 1 mile Pets: No Pets allowed Short Breaks: Available at this property Smoking: Non Smoking Rooms: 3 bedrooms, 1 bathroom, 1 shower room, cloakroom, kitchen, living room and hallway Beds: 1 king size bed, 2 single beds, 1 double bed, 2 slide under beds Luxuries: TV with SKY digital, DVD, CD player General: Gas central heating Utilities: Gas cooker, fridge/freezer, dishwasher, microwave, washing machine and tumble dryer Standard: Kettle, toaster, iron Other: Bedlinen and towels provided. Use of Z bed available at an extra charge; security deposit payable with balance, use of slide under beds will be at an additional cost, per bed, per week Parking: Pay and display slots on seafront Security Deposit: A security deposit of £350 may be required, in which case we will contact you for payment 8 weeks before your holiday is due to start. Sleeps 8 using two single slide under beds in master bedroom charged at £75 per bed per week. Located in Brighton's Marina Village, Victory Mews first floor flat offers a beautiful holiday home with its inner harbour views from the balcony. Many attractions are located just minutes away, such as a casino, bowling alley, cinema, the beach, boat rides, water sports, pubs, restaurants and many shops, all adding to the great experience of your stay here. Size: Sleeps 4, 2 bedrooms Nearest beach: Less than 1 mile Nearest amenities: Less than 1 mile Pets: No pets allowed Shot breaks: Short breaks available at this property Smoking: No smoking at this property Rooms: 2 bedrooms, 2 bathroom (1 en suite), sitting/dining room, kitchen Beds: 2 double beds Luxuries: DVD player General: Gas central heating Utilities: Small fridge/freezer, gas cooker hob, electric oven, microwave, washer/dryer, Standard: Kettle, toaster, iron Other: WiFi available. Towels and bedlinen provided. May not be suitable for children due to glass topped furniture and balcony. Outdoors: Balcony Parking: Private space allocated Security Deposit: A security deposit of £200 may be required, in which case we will contact you for payment 8 weeks before your holiday is due to start.